If you haven’t already, please play and rate our game, Hyper Furball! Our title screen. Cute, huh? We threw quite a few ideas around before settling on our sidescrolling RPG with the “hyper mode” mechanic. Initially we were thinking about doing a Warioware style 10-second minigame collection (nothing new, but probably still fun), and were also seriously considering doing something along the lines of Off the Leash. The idea thee was that you keep running to the right and have various obstacles and powerups that slow you down and speed you up, and you have 10 seconds to reach each checkpoint. I was all set to start working on that when xellaya pointed out that there really wasn’t anything new about what we were making. I thought about it some more and I agreed that it probably…wasn’t that exciting. Friday night came and went and we still weren’t sure what we wanted to make, but eventually my train of thought went to “we should make the 10 seconds as intense and crazy as possible”, and from there I got the idea of a side-scroller where hyper mode basically involves you steamrolling a whole bunch of enemies and leveling up a bunch. It ended up working really well, and I think it uses the theme in a way that’s clear, functional, yet non-cliche. Awesome. There’s kind of a delicate balance when it comes to high-speed coding. You don’t want to be clean and neat with everything, because it just takes too much time, and you’re only working with your code for one weekend anyways (not to mention, I’m the only coder here)…but you don’t want to be -so- messy that you end up introducing bugs and making things hard for yourself. I ended up copying a lot of code from my LD26 entry Minimalist Mayhem, which I also did in Flashpunk, and that sped things up a lot, as I already had code for flashing the screen (with fadeout), and I didn’t have to think about the proper way to create/recycle objects in Flashpunk or anything like that. There was also just a lot of one-off code that ended up getting duplicated, like the code for the parallax backgrounds–after doing that once, I just copy-pasted it each time xellaya finished a new set of backgrounds and I didn’t even have to think about it. Yes, messy, but as long as you’re careful, it all works, and it’s fast. Messy? You bet. But it meant not having to think about it at all. So many, so many Ludum Dare games are lacking in polish, but it makes such a big difference. It’s what makes your game seem AWESOME. That’s why it’s so important to pick something that you can execute easily, because once you finish the main execution, you can spend all the rest of your time making you game look pretty and fancy and smooth. Screen transitions, sound effects, cleaning up your UI…all these nice little things really add up. I’m really proud of the intro and title screen, for example–first impressions really count! I was really excited when I put in xellaya’s graphics for the title and synced it all with the music…so proud! Did I have to implement a jukebox screen with scrolling backgrounds (that cycle through the 4 different levels!) and colored stars flying around? No…but it’s really neat and awesome, right? The Jukebox screen, where you get to listen to my music! We really worked together well this time…I’m an LD vet by now, so I know how things go and I basically didn’t run into any big hiccups at all, aside from a FlashDevelop “out of heap space” compilation error which disappeared every time I restarted Flashdevelop (phew!). I even hacked the Flashpunk Text class to get the outline effect on all my text! I’m comfortable with Flashpunk and I’ve gotten really really good at making game soundtracks in constrained time periods now–in total, I wrote all the music in around 7 hours’ worth of time! (all that training from One Hour Compo paying off!) xellaya was also much more set up for things this time and we didn’t run into any of the miscellaneous troubles that we had last time for Marriage Quest (pngs being exported without transparency, etc.). We used Dropbox to get artwork from her machine onto mine; don’t know why we didn’t do that last time. It’s important to play to your (or your team’s) strengths when you’re thinking up a game…xellaya likes drawing cute things, and I really excel with 9-bit chiptune music, so it was great that we ended up with something that allowed us to use our talents to their maximum potential. We both had the whole weekend to work on our game, which was awesome. No other stuff to worry about, no imminent tests or projects, no getting sick, etc. Awesome. I did better than last time (Minimalist Mayhem just had a single huge screen with all the instructions on it)–I was especially proud of the “mash space” animation that shows up on screen the first time you enter hyper mode. 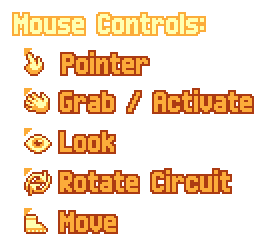 But the level up screen isn’t really that intuitive…in fact, the checkboxes ended up making everyone assume that you can use your mouse to click on them. Which…still confuses me, to be honest, but maybe that’s just because I’m an oldschool console gamer and I think everyone else is weirdos in the way that they think. I don’t really know how this could have been better, but I didn’t spend that much effort really thinking about it. I guess I’m just not that great at UI design. xellaya didn’t really have the time to think about this either, though, so in the end we just did what we could, and I think it’s at least functional. It’s not great, but probably not -bad- either. The gameplay for our game is…”decent”. I wasn’t entirely happy with the simple attack/block mechanic that I had going on for normal combat, but I knew that it would end up being okay in the end because that’s not really the focus of the game anyways–the focus of the game is having fun with ridiculous crazy hyper mode! Still, I wish I could have made normal combat at least a bit more interesting somehow, though I’m still not sure exactly how I would do that. I think in the end I didn’t have time to push for enemy attack variations or anything like that, and xellaya didn’t want to do a lot of animation…if we had spent more time on this, the polish level would have suffered. So this is not really a mistake, per se, but still wish it could have been better. This is probably the main point that might hurt our ratings. Yeah, yeah, super common problem. This always happens, really. It’s important to get feedback and have people play your game, but…when your heads-down trying to cram in the last few features (Breaktime mode! ), it just ends up by the wayside sometimes. I think I really lucked out that the game isn’t horribly unbalanced (at least, in a way that makes it not fun), because I really didn’t have that much time to spend on that and tweaking the enemy strengths and the upgrade requirements. I did spend a -decent- amount of time on it, which is why leveling up takes about the right amount of time and everything, so I didn’t do too bad here. But I feel like this was a danger area that I managed to sneak by on. Please leave your feedback and comments! Oh, and go check out the soundtrack download too! Several days after the end of the jam, it’s time to write a short (now that I finished to write it, it’s not short) post-mortem. People who tried my game seems rather satisfied and they have enjoyed the game. I’m globally pleased with the result of my work too even if all isn’t happened perfectly. You can try my game if you want understand what I’m talking about : The Curse of Chronos. Gameplay : I decided to spend my first two hours Saturday morning to find an idea and create a short game design document. My first idea was to create a game where you play a terrorist who trigger bombs and have ten seconds to back off before the bomb goes off. Another idea I had was a hero who has the power to see the future ten seconds in advance and can use it to change it. These ideas were ok but I wasn’t completely satisfied and I had still one hour of thinking. I finally decided to create a rogue-like where the player has only ten seconds at the beginnning of the game. Each action like walking, talking to an npc or fighting costs time and there’s also objects which can increase hero’s amount of time. I worked on this idea and Sunday evening, the engine was over. The hero could walk, pick-up objects, kill monsters. At this time, I noticed the gameplay of my game was rather poor. The only thing the player could do was moving as fights where automatically resolved. At the end of day 2, my rogue-like was became a simple exploration game without I notice it. The game is not bad but I’m a bit disappointed because I’m sure I could do more interesting things with this concept. And I don’t know why but I find definitely that the gameplay of my game is poor. Time management : I was really well at the end of day 2 concerning the deadline. I had still a lot of things to do on day 3 but I had the time to do it. And one day later, I published my entry 3 minutes before the deadline after 3 hours full of stress and tension. I was really pleased at the end of day 2. I had a good game with good graphics and music. I think I was a bit less focus during the third day. I spend one or two hours to do other things than working on my game, thinking that the biggest part of the job was done. At midnight (3 hours before the deadline), I begin to be a bit worry because I had still a lot of work to do. I was forced to work fast and therefore not really well. I give up to create a second music track and I hadn’t the time to balanced really well the difficulty. That’s also the moment where I begin to detect some bugs I haven’t noticed before, still increasing the amount of work to do. I had been forced to work hard until 3am after a really long day. It was not really good especially because I could avoid it if I had keep focus during the day 3. Keep healthy habits and sleep well : In France, the Ludum Dare begin at 3am Saturday morning. For my first Ludum Dare in April, I decided it was a good idea to go out Friday evening and go back home at 7am completely drunk. I began my game only at 5pm. I manage to avoid it this time and I take a good sleep Friday evening to be ready and fully well-rested Saturday morning at 9am. I also take 8 hours of sleep each night. I take the time to take a shower and prepare some good dishes for my meals. It seems obvious but it’s really easy to stay focus during seven or eight hours in a row and burn out before the end. It’s truer for the jam which goes on for three days. To my mind, these moments like take a shower and eat good meals are really important to take a break and keep your body and your mind healthy. It took more time than drink sodas, coffee and redbull during 72 hours, but I think it’s better at the end. Furthermore, it’s often after this sort of break that your succeed to fix this damn bug which annoy you since one hour. Audio : I use two hours to produce the only track of the game. It last just one minute. I thought it’s a bit short. I was afraid that players find a bit repetitive to listen the same music during all the game, that’s why I would like to add another track. After all, it’s enough long to avoid this problem and nobody seems complain about it. There are several sounds in the game to accentuate some actions done by the hero like pick-up an object or kill a monster. They are ok and rather effective, I think. Graphics : I’m really pleased of my tiles and sprites and players who tried my game seems too. Dialogs in English : Dialogs are really important in a game like this. I write the dialogs during the third day, so very fastly. It’s a bit difficult to write all these dialogs in a language which is not yours because you’re not always sure to use the correct word at the correct place. You also cannot always faithfully transpose what you would like to say. So I tried to keep the dialogs simple and used stereotypes and humor. Old men who are only obsessed by fishing, guards who are all cowards. I’m satisfied about the result even if I could do better if I haven’t wasting time during day 3 as I said above. Theme : I was pretty disappointed when I know what’s the theme was. I thought that the only sort of game you can do it with it was : you have ten seconds to do that, you have ten seconds to finised this level, you have ten seconds to…, and so on. I tried 60 games until now and some of them follows this scheme. My two first game ideas was like this too (see above) but I manage to find something different and I think it’s the challenge when you have a theme : to see the theme in an original way. Among all the games I played, my favourites was those which were able to use the theme in an original way and don’t stop at the common solution which everybody will find. Scenario and quests : I find the scenario really early when I was still thinking about game mecanics during the first two hours. Chronos, the god of the time put a curse on the hero and left him only ten seconds to live. The goal of the hero is to lift this curse. It’s quite simple but it’s enough to make a good main quest. The challenge was to use cunningly the dialogs and the settings to guide the player without he noticed it too much. The common mistake in this sort of game in open-world is to completely direct the player and he has absolutely no freedom. Except at the beginning, where the player is a bit directed for the tutorial, I think I succeed because the player can do absolutely what he want, in the order he want but he is not release in the world without any indications. He can even go directly to «final boss» even if he will have difficulty to defeat him. Side quests are optionals but help a lot to do the main quest. I’m really happy of what I did and players who played my game seems enjoyed it. I will know continue to try games of the Ludum Dare. I’m doing my best to try games of all the people who left a comment about mine. this was our 6th Ludum Dare. We almost did not make it this time. Not because we run out of time but because we said that we would not enter this time around due to some other commitments from the team members. However I (Dals) could not stand that our stream would break for a silly thing so I decided to make a small but simple game. We last all Saturday because of this but we actually had time to put like 6-7 hours into a small game in the end. On the sunday I was joined by my friend who helped out with the programming and gameplay. We knew that we had lost a whole day and because of that we made sure that we aimed on a game with a scope so small that we would finish it relativly fast. We stuck to this and that was very important for the success for this project. Another thing that went right was the use of tools. We were not able to get togheter this time around so Skype and git really saved a lot of problems for us. Git is super great when you learn to use it and this time we really knew how to. We also used Java as a programming language wich we are most comfortable in. The new thing for this Ludum Dare was that we used the awesome LibGDX framework as the backbone of our project. In the weeks before Ludum Dare I had explored GDX and made a small API for it called Simple. That made the development of this small game even faster and it was blazingly fun. Basically we knew our tech and made clear and structured goals. We also did not have time to suffer from feature creep which was great in the sense that we finished it. When i went into this, my first LD, i wanted to learn some new tools (PIXI.js) and did not want to tie myself to a certain type of game, so i did not prepare myself at all, i just checked briefly what tools are out there, and that was it. Even though i still think it is good to keep an open mind/options, boy was that a bad idea. As i was starting from scratch, only with this one library which is more a canvas wrapper, i had to do everything myself during this 48h, the collision detection (hm, uh, how about using Box2d for js instead) the player movements in space (same there) game mechanics and logic (hm, why not using a Game Library or at least a Framework), sound, hm, yes, lets just reinvent a sound library too (didn’t happen, not enough time). So when i tried to dig up my high-school geometry knowledge at 3 in the morning to calculate the movement of my objects and the rotation of the planet, i went crazy. Noooot a good idea to wing it at 3 in the morning after long hours of programming before. So if anybody reads this and thinks of participating for the first time in LD28, prepare yourselfs, it does not mean you don’t really make the game in 48h, it just means you know your tools. Get out ! Let’s play by a fan on youtube ! 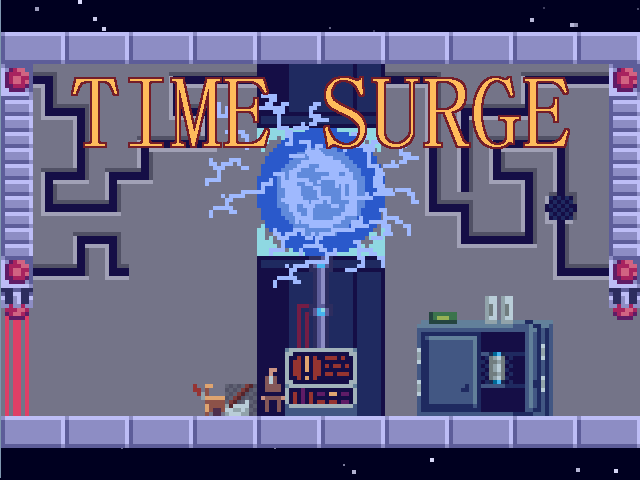 Check the let’s play of our LD48 entry on youtube made by a fan ! I was finally able to make the timelapse. It was kind of a slow process, as there are 22862 frames. At least, that resulted in a nice video with pretty much my desired speed (if I could, I’d probably like to take one screenshot each second… but that would way over the top xD). Haven’t played it yet? Why not give it a try? It takes just a few minutes (less than five, really). JellyCakes plays your LD 27 Games! So it’s been almost 24 hours since I finished both a Compo entry and took part in a Jam entry so now I’m ready for games! Come in, suggest your game to the chat and get some feedback!